325 7th Street | Cary Kopczynski & Company, Inc.
325 7th Ave is a twin tower multifamily development in downtown Oakland. 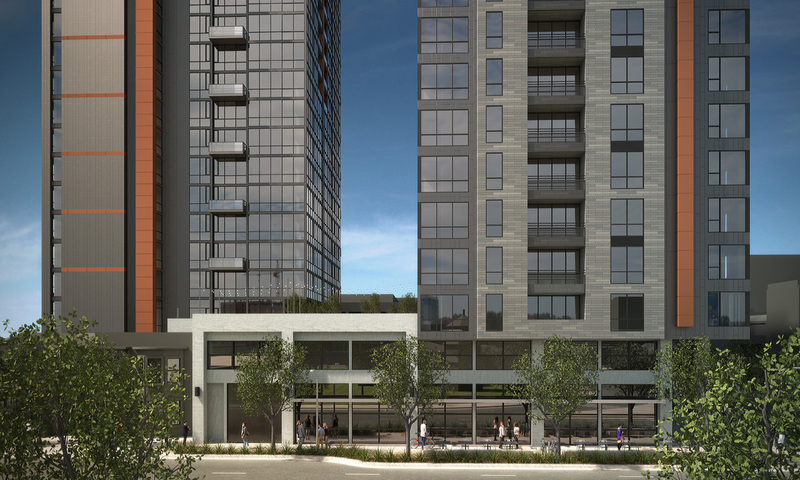 The high-rise tower will be constructed of cast-in-place concrete with post-tensioned floor slabs. 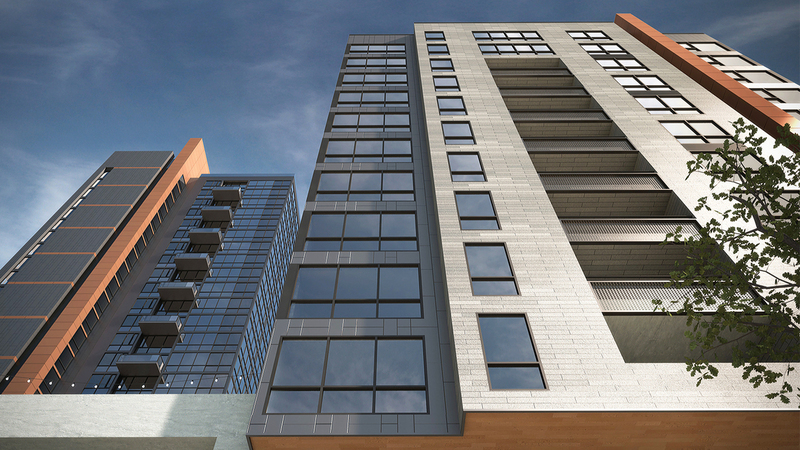 The mid-rise building will utilize light gauge steel framing over a concrete podium. The high-rise tower will be designed using Performance Based Design (PBD) methodology. In addition to the structural refinements that PBD creates, architectural systems benefit as well, due to the flexibility in seismic system layout that results from the PBD process. 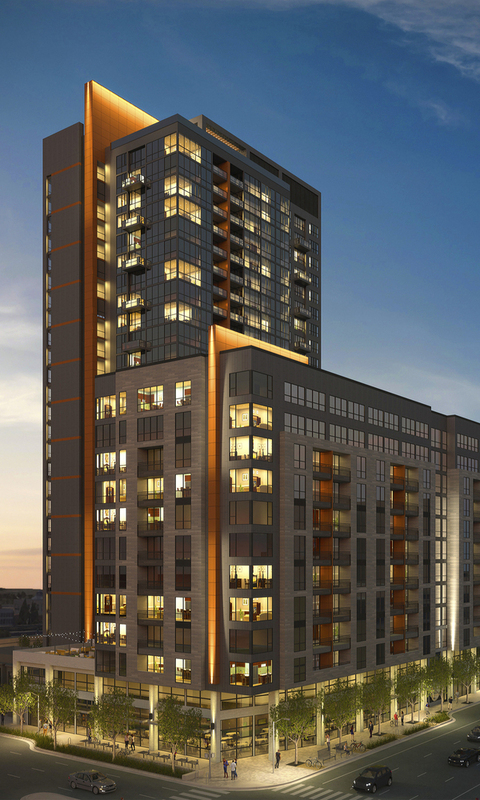 The mid-rise light gauge steel design will incorporate an advanced, highly efficient, and very economical system pioneered by CKC. It can be effectively utilized in multifamily buildings and hotels up to ten stories and higher, and has been very successful in reducing construction cost for many recent CKC projects.